Highworth became the first part of Swindon to get access to free wif-fi. A brand new system where a ‘mesh’ of wi-fi access points has been installed throughout the town, allowing individuals, homes and businesses to surf the internet completely free of charge for up to 2 hours per day. MP Caroline Spelman, leader of the council Rod Bluh and Rikki Hunt, who delivered the project. The scheme , chiefly funded by Swindon Borough Council, was officially switched-on at Highworth Library by MP Caroline Spelman, who was joined by the leader of the council Rod Bluh and Rikki Hunt, who delivered the project. “Highworth was always going to be tough technically which is one of the reasons we decided to roll it out here first,” commented Rikki. "But it's up and running and this is just the start. 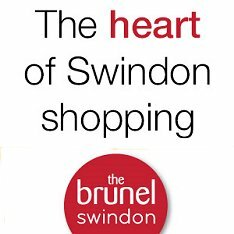 We will be able to learn a lot about how people use it and use the benefits for the whole of Swindon." The first to use the new wi-fi being pupils from nearby Warneford School, who gave their thumbs-up after using it to access the internet on their mobiles and laptops . "It's so easy to use” said Victoria Walsh from Warneford School, "I think it's a great way for people who don't alreay have access to the internet to be able to connect for the first time." The system is now expected to be rolled out across the whole of Swindon in the coming year. Are you Swindon's best new business of 2009?